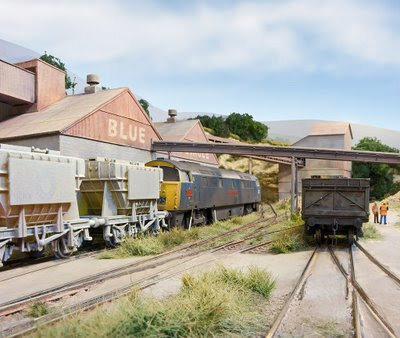 In a bit of blatant self promotion, a selection of some of my favourite images from model railway photographic commissions during 2007 and 2008 capturing some of the stunning layouts we are so lucky to be able to enjoy in the UK. 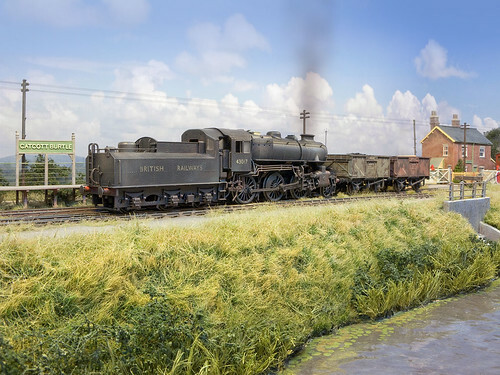 The picture to the right of Cobdown MRC's OO gauge 'Wouldham Town' is probably my favourite to date, it being inspired by the work of the late Ivo Peters the well known S&D's 'own photographer' of the 1950's & 60's. nevard_090311_catcott-43017_IMG_4120c_web, originally uploaded by nevardmedia. I may add the Brassmaster's pony truck and Gibson pony wheel set, though having looked at the fret on their website I might build another layout in the time it would take for me to fathom it out. 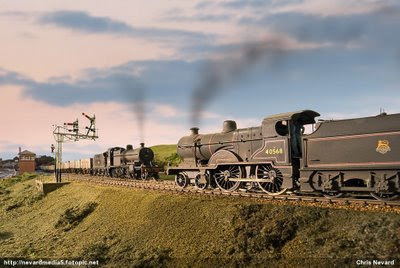 I can see why George Dent in Model Rail did his hybrid conversion - and unlike me he knows what he's doing! nevard_090311_catcott-43017_IMG_4112_web, originally uploaded by nevardmedia. OK, here we go, most mornings after breakfast during the week I fibreglass pen'd off more lining and numbers etc (should have bought a plain black LMS liveried one - duh!). Renumbered as Bath Shed's 43017 (was there from 1950-53) and drybrushed on grime with enamels and washed of black and beige matt emulsion. All was sealed in Krylon Matte (which still gives a light sheen - like grease?). Just screw couplings, crew and pipes to add. These were shot under Catcott's new flu/energy saver mix lighting (the same as Cement Quay) which I'm quite pleased with (flu's were too cold, energy savers too warm - this strikes a balance). 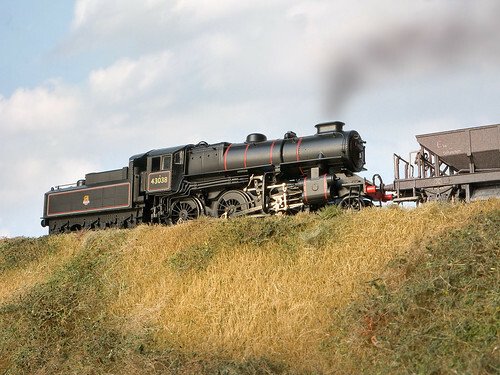 nevard_090307_ivatt_4mt_IMG_4106_web, originally uploaded by nevardmedia. 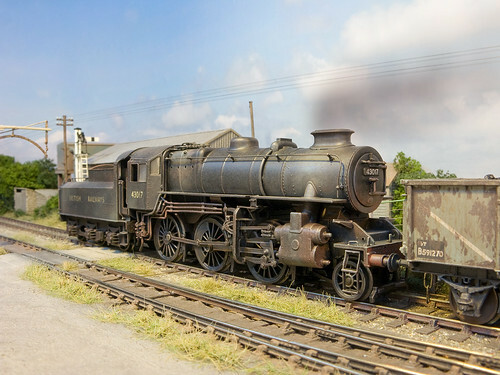 On the workbench, a Bachmann Ivatt 2-6-0 4MT. Here it is in 'out of the box' condition, but with the tender gap closed right up as tight as I dare (it only has to get around B8 pointwork). To achieve this I had to drill an additional hole through the connecting bar, then cut and shove the doors at 60 deg as per George Dent's excellent article in March '09 Model Rail Magazine. The next job will be to strip the lining off, spray plain black and renumber as Bath Green Park's 43017. The 'Lion on the wheel' logo will be replaced with 'BRITISH RAILWAYS' in cream Gill Sans. Then of course the engine will be weathered. Apart from the faux clag in one of the shots, this was simply taken on my 'stock plinth' against an A2 sized sky print with soft sunlight coming through the living room window.